One month after Gabon’s president declared the creation of nine new national marine parks and 11 new aquatic reserves at the United Nations Ocean Conference in New York, the marine conservation group Sea Shepherd has been invited back to help the government combat illegal fishing in what is now Africa’s largest network of marine protected areas. 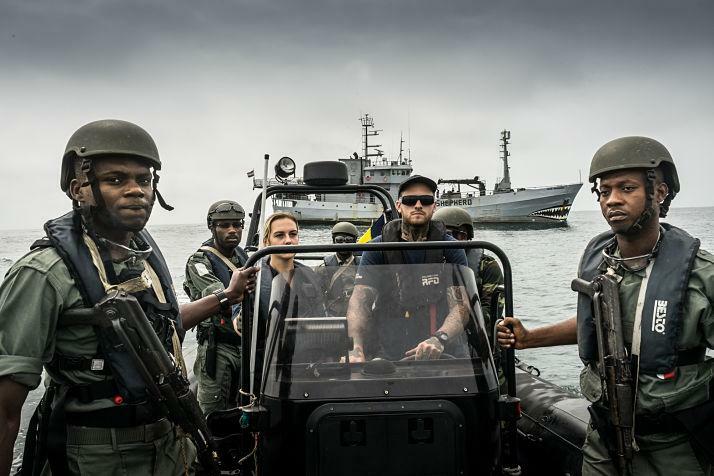 Operation Albacore II is Sea Shepherd’s second campaign in partnership with the Gabonese government to tackle illegal, unregulated and unreported (IUU) fishing in Central West Africa. Throughout the 2017 tuna fishing season, Gabonese marines (Marine Nationale) and officers with the Fisheries Enforcement Agency (ANPA) will be stationed on-board Sea Shepherd’s ship, the M/V Bob Barker, working alongside Sea Shepherd crew to patrol Gabon's sovereign waters. These patrols will provide a vehicle for law enforcement to defend, conserve and protect critical tuna habitat in Central West Africa from July through September 2017. The campaign was officially launched today at a press conference in the Gabonese capital of Libreville by the Gabonese Minister of National Defense; the Minister of Forestry, Fisheries and Environment for Gabon; and the captain of the Bob Barker, Adam Meyerson. Also in attendance was Admiral Giuseppe de Giorgi, the former Chief of the Navy for Italy, who is joining the Sea Shepherd crew on patrol as a navigation officer and coxswain. “After 45 years in the Navy, I’ve seen the decay of the marine environment, the loss in biodiversity, the dramatic effects on wildlife procured by the relentless and cynical exploitation of the oceans. Sea Shepherd is fighting a war against greed and cruelty, protecting the oceans and the endangered species. This is a war that I am gladly willing to fight”, said Admiral Giuseppe de Giorgi. [caption id="attachment_10018" align="aligncenter" width="800"] Purse Seiner Inspection - Photographer: Sea Shepherd Global/Michael Rauch[/caption] The campaign aims to expand existing monitoring, control and surveillance measures; to detect and deter IUU fishing activity while also monitoring legal compliance by licensed fishing operators. 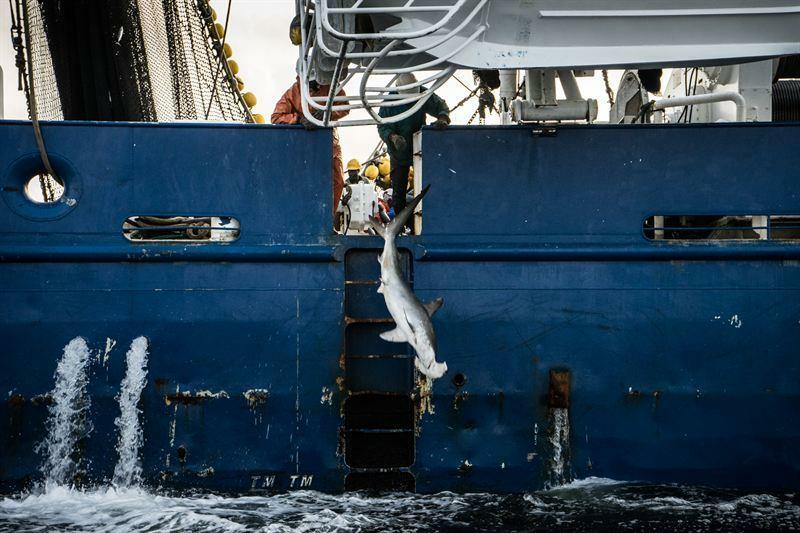 It is estimated that between 11 and 26 million tons of fish are caught globally through IUU fishing every year. Developing countries are particularly vulnerable to IUU fishing and up to 40% of the fish caught in West and Central West African waters is caught by criminal operators. 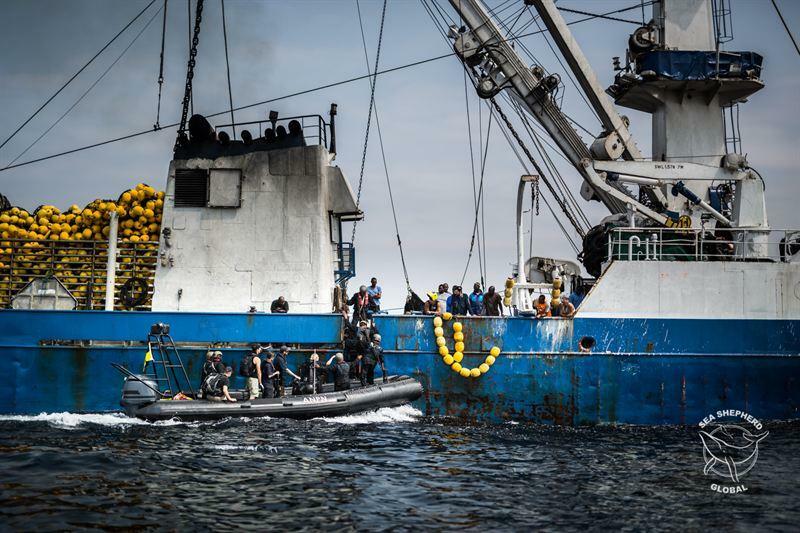 Campaign leader, Captain Peter Hammarstedt, said, “The fact that many regional Coastal States have stretched economic resources is a leading reason why IUU fishing is prevalent in waters off the western coast of Africa. Operation Albacore is an example of the successes possible when governments and non-governmental organizations work together to combat illegal fishing. Sea Shepherd is tremendously proud of our successful partnership with Gabon, a world leader in conservation.” In 2016 Sea Shepherd partnered with the government of Gabon for the first Operation Albacore, resulting in over 40 fishing vessel inspections at sea and the subsequent arrest of three IUU Congolese fishing trawlers and one Spanish long-liner.